Will a high gain antenna actually suit your purpose? When buying an antenna, customers will often look for the most gain they can get, thinking that high gain will surely give them the best transmit and receive range possible. However, the local terrain and other factors in their surrounding area can mean that high gain is in fact NOT the best choice. Actually, the higher the gain, the more susceptible the antenna signal is to obstruction and interference. So here is a guide as to what the different radiation patterns look like and where different levels of gain will be your best solution. High gain antennas take all of the inputted signal and transmit it along the horizontal plane in a tight, narrow beam. PROS : Yes, the signal does travel further. This is a definite advantage in areas where the terrain is quite flat, provided there are few trees or buildings in the signal path. CONS : The narrow high gain signal will be obstructed by hills, trees and buildings. So in mountainous country or around dense city areas, high gain is not for you. Signal drop-out will be frequent. 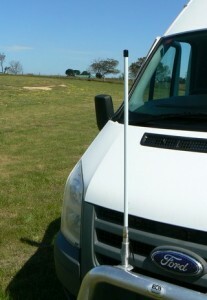 A medium gain antenna redistributes some of the signal that would have been sent vertically up and down and pushes it along the horizontal plane. This causes the signal to travel further, but still in a fairly wide beam. PROS : The signal is less likely to be blocked by hills or tall buildings, making a medium gain antenna the best choice for those in suburban areas and the larger rural towns. 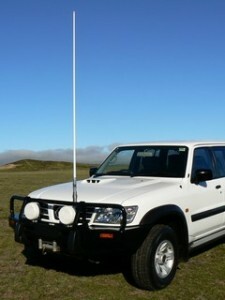 Examples : ZN4-77-06 for UHF CB Radio and SGLDB for Mobile Phone. CONS : Although medium gain does deliver a distance increase, transmit and receive range will not compare with a high gain antenna. Unity gain simply means that the antenna pattern radiates in all directions equally, like a round ball. PROS : The broad omni-directional signal gets around and over buildings, hills, valleys and trees. Therefore, a low gain antenna is actually the best choice for those living in high rise city areas or out in bushy and hilly country. 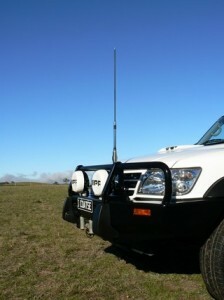 Examples : SGL477 for UHF CB Radio and GIDM-DB for Mobile Phone. CONS : Transmit and receive range will be limited. Click here for a download/Print antennas basic handout on antennas and gain explained.